The Supervisory Board of the central bank accepted the proposal from the Governor of Eesti Pank for Madis Müller to continue as a member of the Supervisory Board of the Financial Supervision Authority for the next three years. The Executive Board informed the Supervisory Board about the central bank’s updated strategy project. Eesti Pank Governor Ardo Hansson gave the board the regular review of the state of the economy in the euro area. The board approved the designs for the collector coin dedicated to Jaan Poska and the two-euro commemorative coin dedicated to Paul Keres. 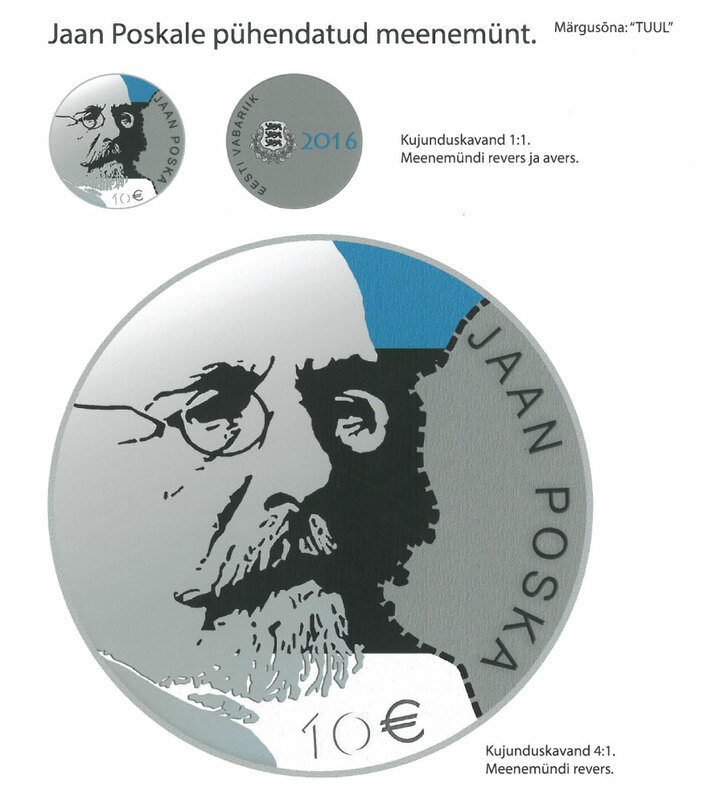 The silver collector coin dedicated to Jaan Poska, with a nominal value of ten euros, was designed by Mall Nukke. The design features a portrait of Jaan Poska and the border of the Estonian state that the delegation led by Poska agreed during the peace negotiations when Estonian became independent. The coin is partly coloured in blue, black and white. Eesti Pank is issuing the coin at the end of January in honour of the 150th anniversary of the birth of the statesman. The two-euro commemorative coin for Paul Keres was designed by Riho Luuse and has a portrait of Paul Keres in profile, his name and some chess pieces. The design will now be passed for approval to all the euro-area states where the coin will circulate, and then the design will be officially published. 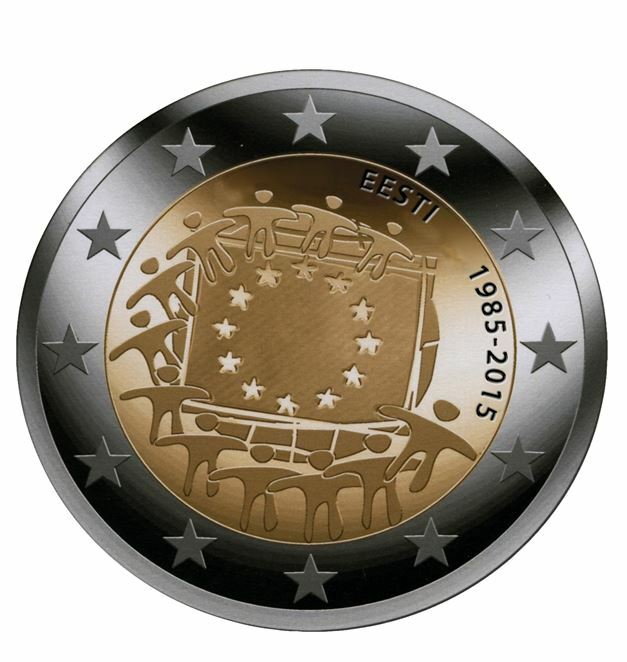 The two-euro commemorative coin will enter circulation in early 2016. The board also approved the minting of 350,000 of the two-euro commemorative coin dedicated to thirty years of the European flag, 3500 of which will be in brilliant uncirculated, or BU, finish. The coins will enter into circulation at the end of December. The next meeting of the Eesti Pank Supervisory Board will be on 13 October.